The U.S. Grains Council utilized Market Access Program (MAP) funds to host 24 members of the Mexican livestock and feed grain importing industry to Export Exchange 2016 in October 2016, resulting in $17.5 million in sales and a return on investment of $173 for every $1 invested. Presentations about production, supply, logistics and commercial uses for corn, sorghum, barley and co-products were the feature of this program, which allowed the Council to bring more than 200 international buyers and end-users of coarse grains and co-products from more than 35 countries to meet with 180 U.S. industry participants. 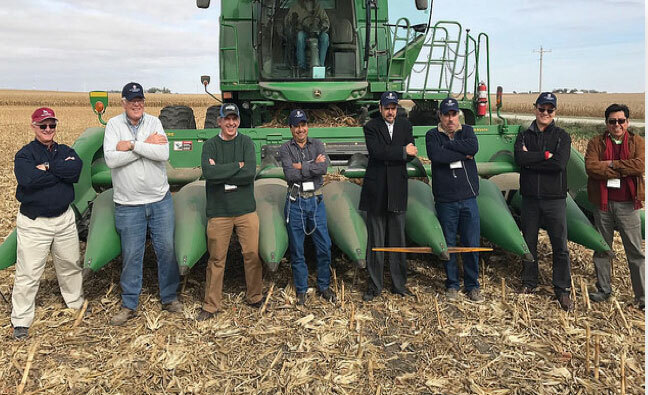 As a result of their participation in the event, Mexican team members confirmed purchases or started firm negotiations to buy a total of 78,000 metric tons of corn, 43,500 metric tons of U.S. distiller’s dried grains with solubles (DDGS) and equipment related to the feed industry. These purchases had a combined value of $17.5 million. One team member, from Alimentos Balanceados, reported after the event that he had increased his imports of U.S. DDGS to 1,200 metric tons per month, from 350 metric tons prior to Export Exchange. The valuable information and direct access to suppliers at this event enabled the company to secure and sell 70 percent more DDGS, which in turn, increases efficiencies in its operation and to its customers. The Council invested $100,700 of MAP funds in sponsoring the participation of these 24 participants to Export Exchange 2016. With all sales initiated or finalized at this event valued at $17.5 million, this produced a return on investment (ROI) of $173 per every $1 of MAP invested.